Currently 'tearing up stages' across Europe is the shy and retiring Rihanna (ha ha) who has promised just one return to the UK next year. No stranger to controversy - she's frequently photographed smoking a fag (no!! ), wiggling her scantily-clad behind at front-rows (woo, really? ) and trampling across crops owned by Irish farmers (gasp!! ) with her puppies on full display (i say!!) - the multi-million selling singer will perform at Wireless Festival 2012 next summer, giving those who couldn't get tickets for her umpteen UK shows this year (including the ten nights at London's O2 Arena) a chance to see her. 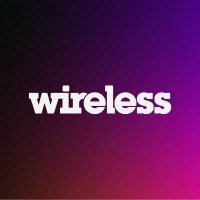 Next year's Wireless will take place over the weekend 7th to 8th July with Rihanna set to headline on the Sunday night. Tickets go on sale on Friday 18th November priced from £52.50 - other performers will be announced in due course. You can expect a greatest hits style performance - "Umbrella", "What's My Name" and "We Found Love" are all bound to rear their heads (especially the former if the British weather misbehaves on the day). After last year's weekend, which featured The Black-Eyed Peas, Pulp and Chemical Brothers, she's got an enviable task ahead of her. As well as forking out for those tickets, fans will also be salivating at the prospect of a new album due out in a few weeks. "Talk That Talk" will be released on 21st November and comes just 12 months after the platinum album "Loud", thus ensuring another Christmas hit (or four).